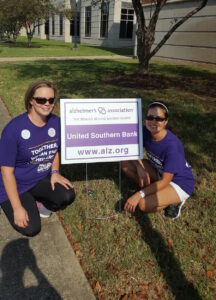 United Southern Bank participated in the Christian County Walk to End Alzheimer’s on September 23rd in Hopkinsville, KY.
USB was a Silver Sponsor of the annual Walk. Worldwide, nearly 44 million people have Alzheimer’s or a related dementia. 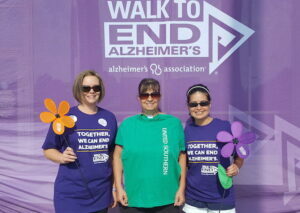 1-in-9 Americans over 65 have Alzheimer’s disease (Alzheimer’s Association). It’s the 6th leading cause of death in America (Center for Disease Control). « USB: September Project Fun!